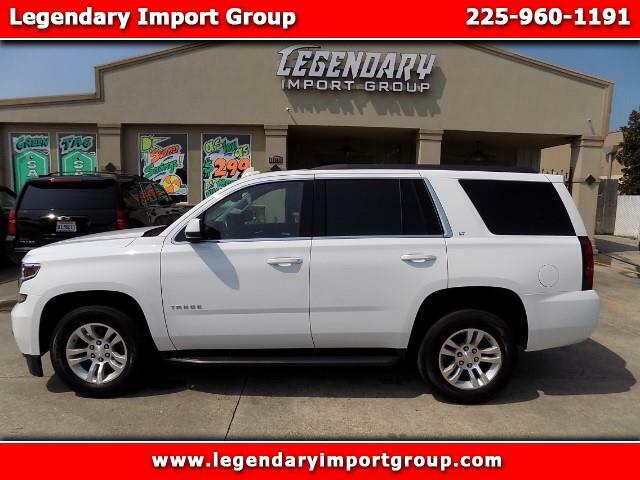 Legendary Import Group presents this 2016 Chervolet Tahoe 1500 LT. The 2015 Chevrolet Tahoe is one of the highest ranked SUVs in its class, thanks to its capable engine, pillowy ride, and luxurious cabin. The Tahoe has a calm ride, poised handling, and strong brakes. The Chevy Tahoe's standard V8 engine produces ample power, even when traveling with a full load of passengers and cargo or a trailer in tow. Its 8,500-pound maximum towing capacity. The Tahoe comes standard with Bluetooth, satellite radio, HD Radio, six speakers, and Chevy's OnStar emergency notification system.